Every parent knows that when you have a big family, it’s really hard to find alone time with each of them. In my case, I have four children and I am still nursing baby Brody, so having time to escape one on one with the others can be quite challenging. There is only one of me and four of them, and I certainly don’t want their childhood to slip out of my grasp without my consent. Like most parents, I spend every waking hour making our house into a home, filling their memory bank with unforgettable experiences, and campaigning everyday for them to be kind, courteous and caring. However, I recently started to worry if my attempts at raising awesome tiny humans were enough? 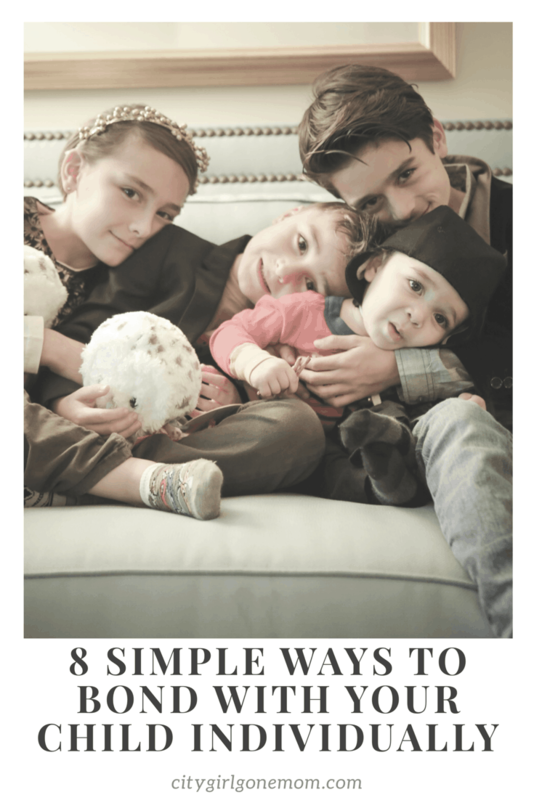 Am I spending enough time with each child individually? Am I meeting all of their needs? For quite sometime now, we have been doing everything as a family unit. I can’t even remember a time when I actually did something fun with just one child alone. We are always doing things as a family, even story time is a family affair. Reconnecting with each child—and getting a little alone time with no agenda has been one of my 2017 goals. Connecting with each of them will help lay the foundation for a trusting parent/child relationship. As I go through the motions with each child, I notice their hugs became tighter and the bond ignited gives them the confidence they so deserve. Try a sport together. For my 10-year-old Jackson, he knew I used to be an avid skier before I had kids. We recently took a trip to the mountains and I decided to put the little ones in lessons so I could spend time on the slopes with my first-born. His first few tries weren’t that great, but I was able to encourage him to not give up and to keep going. After three runs, he got it. After, he said, “Thank you mommy so much for only taking me today. I love being alone with you.” You pick the sport that would be easy to do with your child, but I can assure you, this one is a win. See a performance or sporting event. You can go to a concert, watch a sporting event, or go see a musical or a play. I took my daughter to see her friend play in a band and the experience was perfect. We went to the front row and she loved her time alone with me. During the performance she grabbed my hand and I knew I was exactly where I needed to be, alone with her. Go out to eat. This one is very easy to arrange, so I tried it with my four-year-old Roman. I picked him up from school, and him out to lunch. I let him choose whatever he wanted off the menu and had him help me select my meal. He too mentioned he loved being alone with mommy. Go for a walk. Not only do I have four kids, I also have two dogs that need to be walked daily. I took my daughter to the beach with our Silver Lab Mabel, and we worked on training her. My daughter loved not having her brothers around, and happily shared her day with me. Create a story together. Besides reading a book, I find it really fun to create a story with your child. I start with, “Once upon a time, there was this little boy Roman who lived on a mountain. He … ” Then I have Roman create a fun tale of what happens next. We go back and forth for a good 20 minutes, and all of my kids absolutely love this creative time. By doing this I find it a more restful, intimate zone that only we get to exist in. Make a craft. Lucky for me I live next door to a craft store and having the best diaper bag helps transport stuff for the baby and the supplies needed for craft time. By now, you should know Pinterest is a mom’s best friend and at any given time you can pull up hundreds of DIY Crafts. If you didn’t read my post about our Valentines Day Twig Arrows, you can read it here. Chaperone a school trip. My volunteer days are practically non-existent with having a baby. However, my daughter really wanted her mom to accompany her on a school trip. I finally did it. I arranged for child care and went on my daughter’s trip. She was so proud to have me there, she introduced me to her entire class. Play with your child. Every child loves to play. Tapping into their innocent imaginations can be quite fascinating. My boys are Lego warriors that wear super charged capes. They can climb any building and rescue all the good guys, while my daughter twirls in her tutu and seems to always have ten plus teddy bears to take care of. Learning how they play—and being part of their play time—is rewarding for both the child and the parent. All children really want is our time. 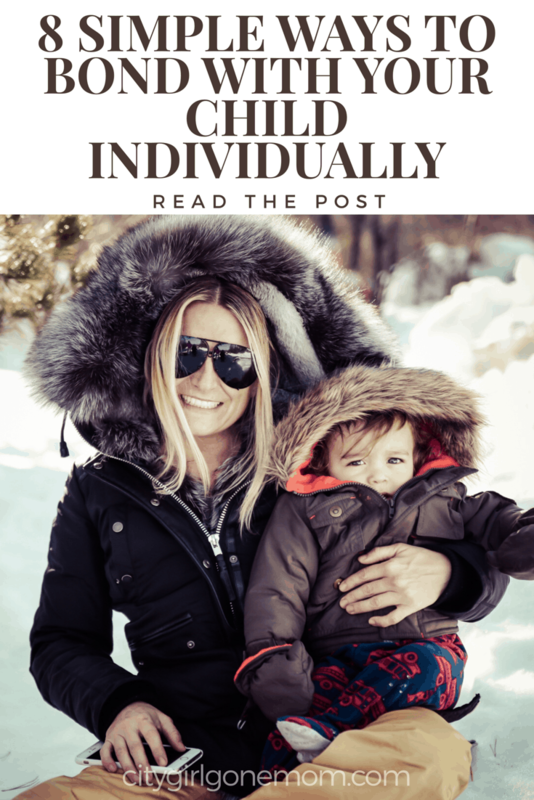 We get one shot at this unpaved road called parenting. There is no manual, and certainly no right way to be a stellar parent. All we can do is try. Schedule alone time with each child and you too will find out their passions and desires. It’s a privilege being the one person they get to call mom. I will gladly hold their hand one at a time through their magical unchartered journey. As always, I would love to hear from you! 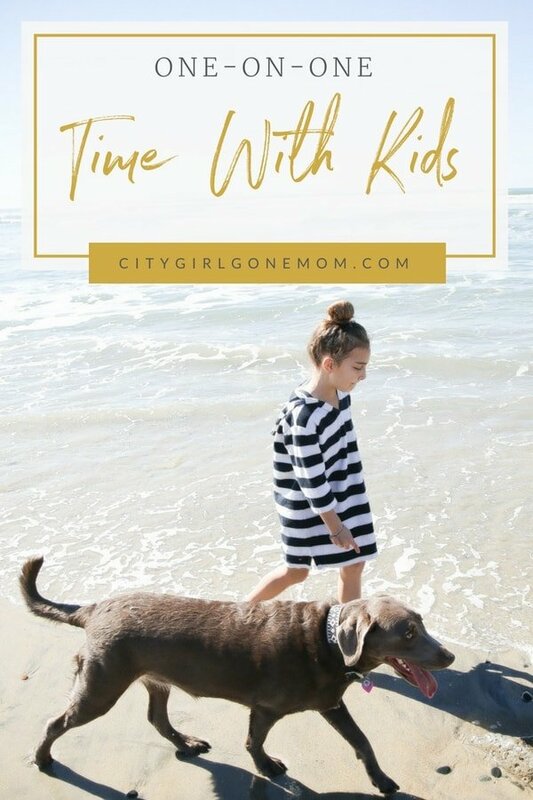 How do you create alone time with your kids? Comment Below! 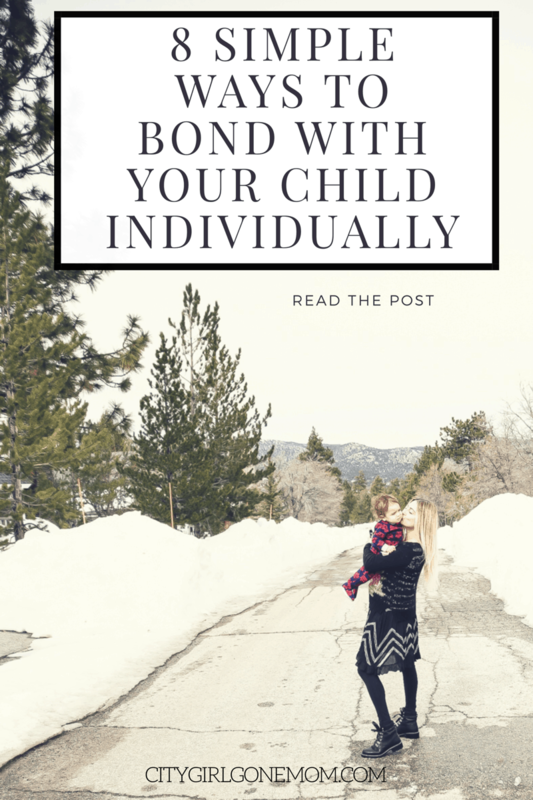 Thank you for this post and the reminder of the importance of one on one time with your kids. 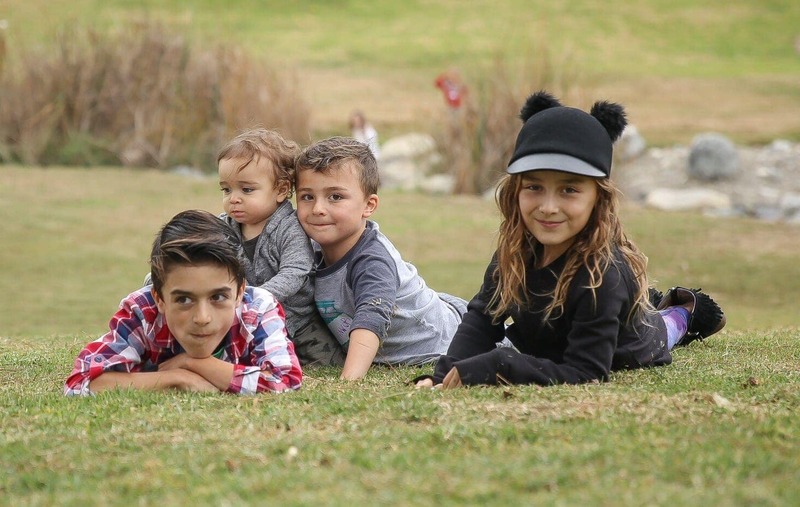 I too have 4 kids and it can be a challenge. Couldn’t agree more, one on one time is SO important. I feel like my kiddos are different people when they are solo….We carve out time playing Uno with the little one and going bicycle riding with the oldest. If we could just get an extra 6 hours a day to do it all. how wonderful mama…. I love your stories!